Throughout history, the same question has been asked by many mentors, from blacksmiths and cobblers to engineers and scientists. 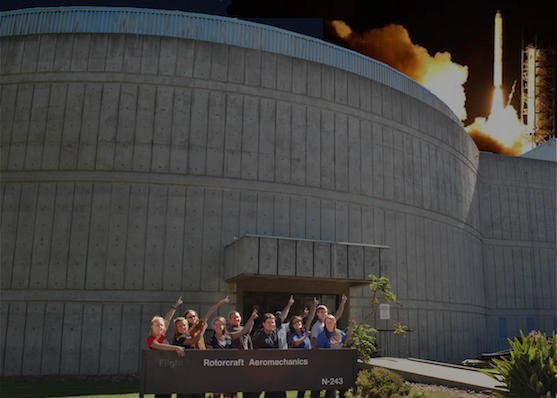 Now, at NASA Ames Research Center, it has been answered once again. 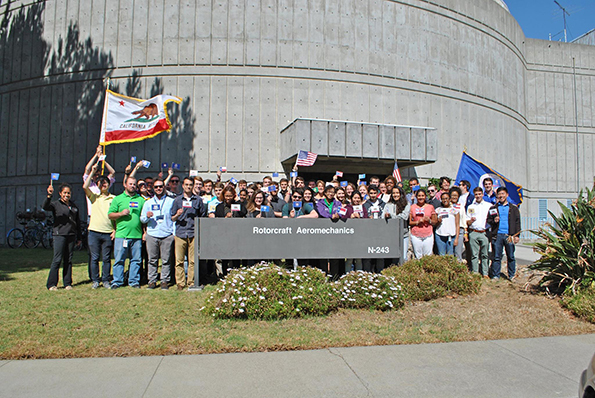 Over the summer of 2018, the Aeromechanics Branch at NASA Ames Research Center was overrun by over 60 interns with backgrounds ranging from physics and engineering to education, from high school students to graduate students, causing the branch&apos;s population to grow by 50%. 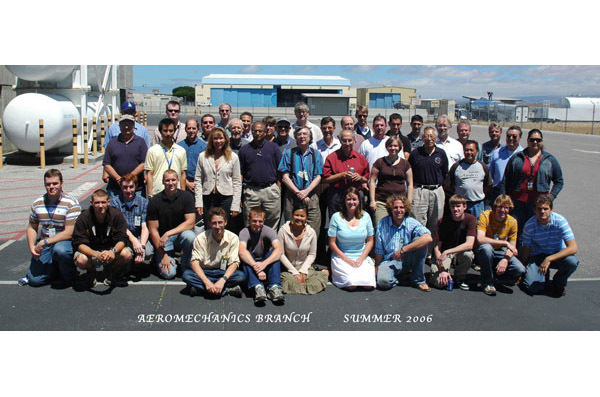 The Aeromechanics Branch at NASA Ames Research Center is responsible for aeromechanics research activities that directly support the civil competitiveness of the US helicopter industry and the vertical lift requirements of the US Department of Defense. 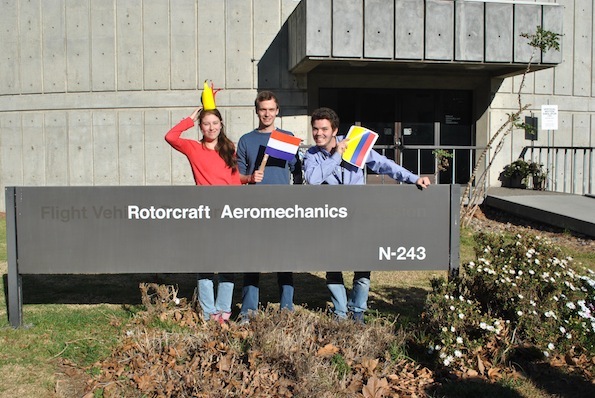 The Aeromechanics Branch interns were set off to assist with work related to vertical takeoff and landing (VTOL) technology and vertiport counterparts, computational fluid dynamics (CFD), 3D modeling (i.e. computer aided design, CAD), and projects that may even escape this world to Earth&apos;s neighbors, Mars and Venus. More than 20,000 man-hours were dedicated to completing over 41 projects. Fixed-wing VTOL aircraft have capabilities of both rotorcraft and airplanes. They can hover, take off and land vertically, and accelerate to forward flight. This reinvigorated field has the intention of developing new forms of urban transportation that will reduce travel time and environmental impacts from current means of travel. 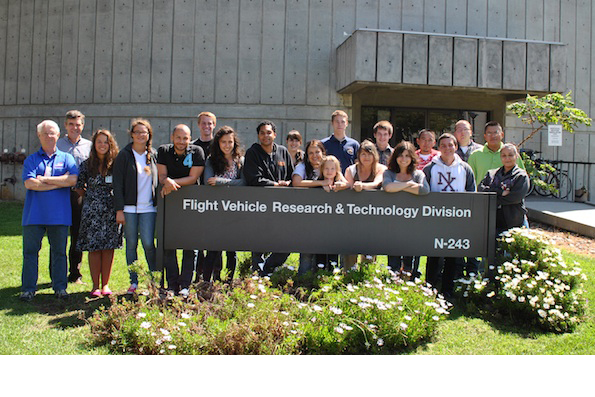 In the pursuit of this goal, NASA created conceptual designs for potential VTOL aircraft with capacities that range from one to 14 passengers, and with fully-electric or hybrid-electric powerplants. 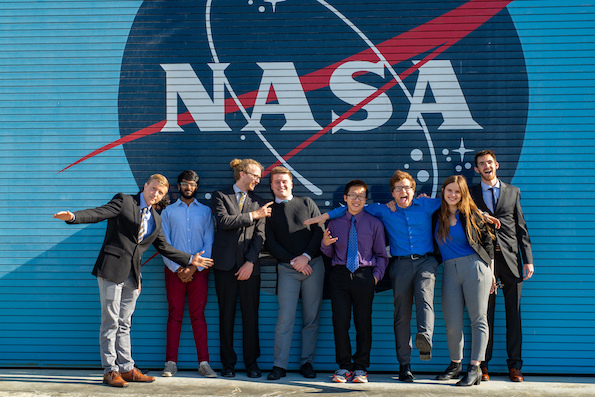 Aeromechanics interns Ethan Krings, Yeray Pabón González and Makynzie Zimmer modeled the NASA conceptual designs and other common reference models with CAD modeling software programs such as SolidWorks and Rhino. 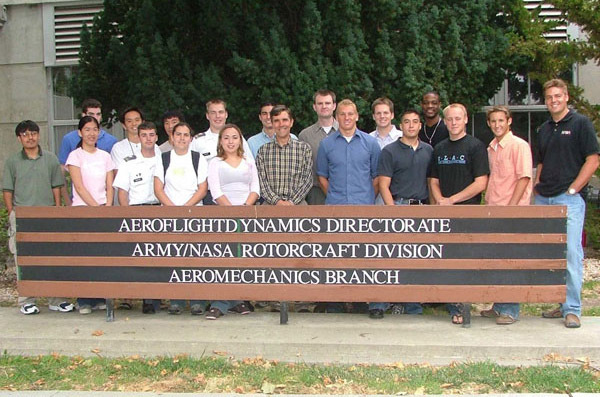 This allowed each of the models to be analyzed in RotCFD, a program designed to simulate rotorcraft fluid dynamics, to determine if the design was feasible for its intended use. Models were then 3D printed. 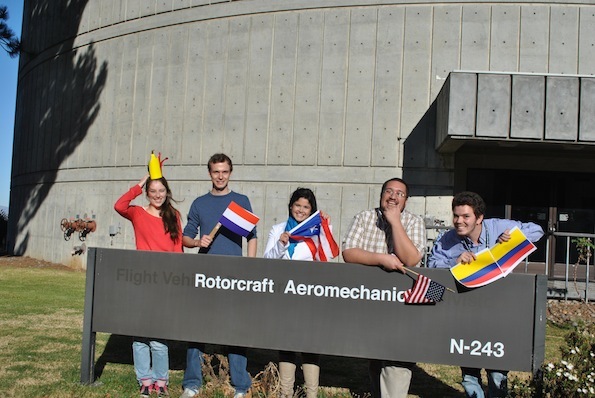 RotCFD is an unsteady compressible flow solver that uses Reynolds-Averaged Navier-Stokes equations to model flight characteristics such as lift, drag, power, torque and thrust for flight regimes including takeoff, hover, cruise and landing at different velocities, angles and altitudes. 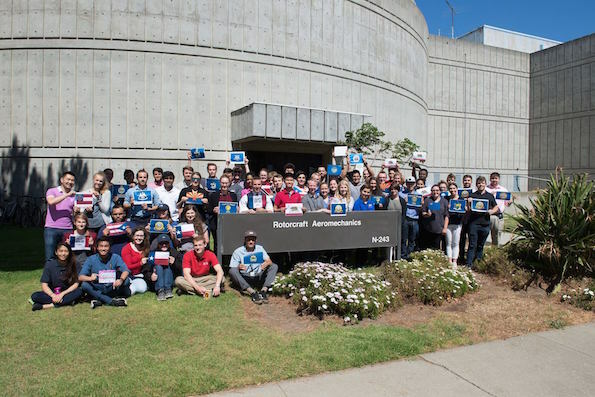 Aeromechanics Branch interns Ali Fares, Lauren Wagner and Curtis Zicker were instrumental in the computational modeling of two of the NASA reference models and one common reference model produced over the summer. 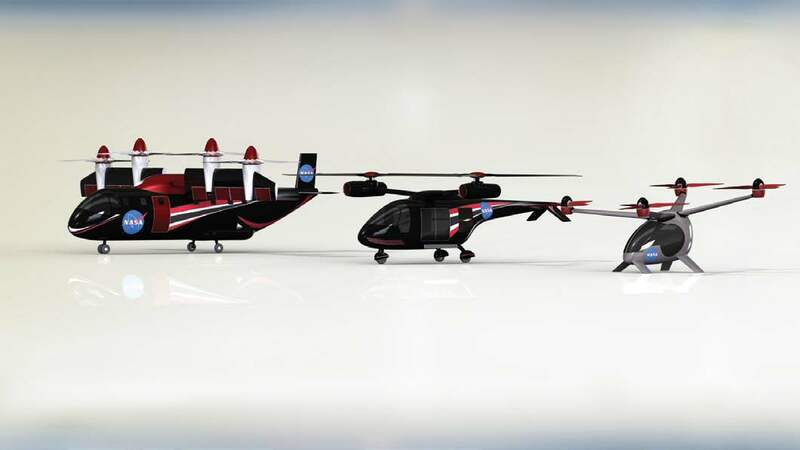 NASA reference models (L-R): Reference Model 3 (14 passenger tiltwing), Reference Model 2 (six passenger sideby- side rotors) and Reference Model 1 (personal quadrotor). 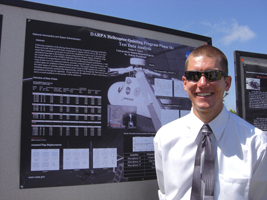 Fares completed computational analysis of the single-passenger, fully-electric quadrotor, NASA Reference Model 1. The simulations analyzed for the quadrotor were done at various atmospheric conditions and angles of attack to determine the overall cruise efficiency of the vehicle. 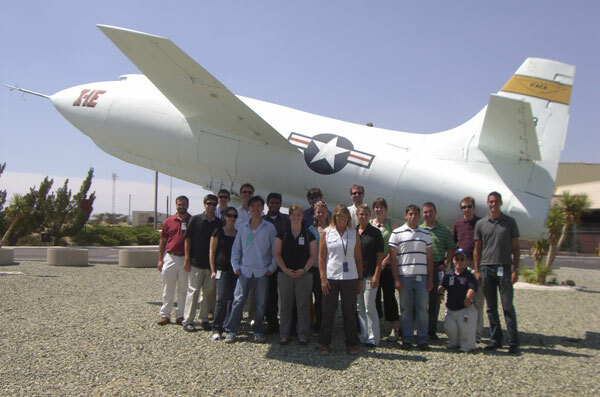 Wagner assessed the capabilities of the fully-electric NASA Reference Model 2 (the side-by-side configuration) and determined that the side-by-side showed great potential as a VTOL aircraft. The aircraft met the minimum performance requirements set for VTOL technology. Zicker performed an analysis of the Uber Elevate electric common reference model (eCRM-001), which is fully electric. He determined that under the conditions in his study, the angle of attack of the wing had to be relatively high for cruise flight due to the heavy weight of the aircraft. The aircraft fuselage attitude could still be held at a low angle by setting wing incidence with respect to the fuselage appropriately. In its current form, the model had a lift-to-drag ratio 40% greater than that of a helicopter, making it more efficient in forward flight. However, it produced just enough lift in hover to get the aircraft off the ground. This reference model showed promise as a base for future electric VTOL aircraft; increasing the wing span or wing area would improve its cruise efficiency, while increasing the rotor thrust would improve its hover capabilities. 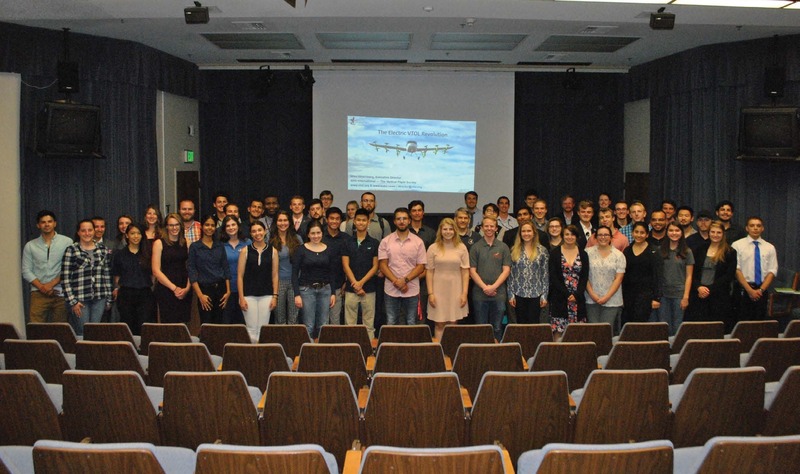 The computational modeling done by the Aeromechanics interns over this summer — as well as Branch interns in the past — provides a current outlook on the capabilities and feasibility of ideas being produced within the VTOL community, opening the door to further analysis of the future of the field. 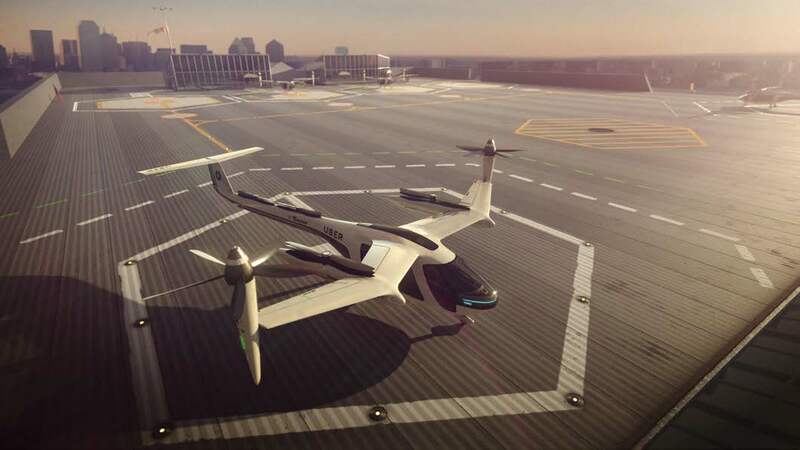 Another important step in implementing urban VTOL aircraft technology is an investigation of the infrastructure needed for efficient and convenient use. 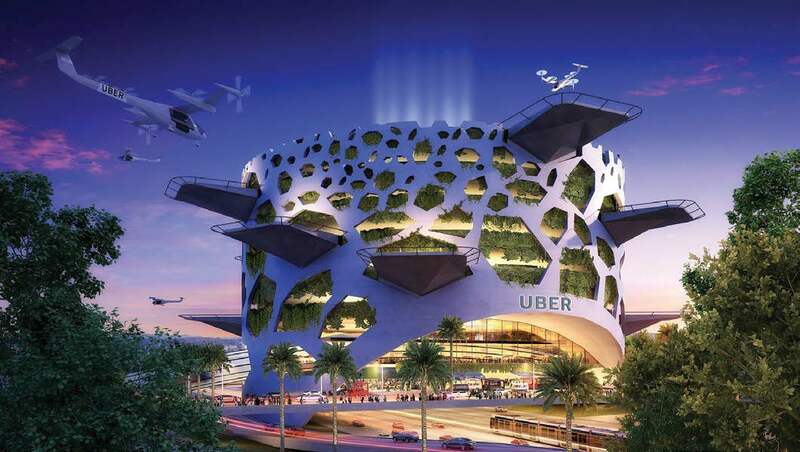 In 2018, Uber held its second annual Elevate Summit and presented vertiport designs that could accommodate the needs of the urban air mobility industry. These new ports may need to accommodate 2,500 vertical takeoffs and landings every hour regardless of most weather conditions. Of the six proposed concepts, the Aeromechanics interns chose to analyze the Uber Hover design from Humphreys & Partners Architects. Wagner&apos; Rot3D CFD simulation of NASA&apos;s Reference Model 2 (the side-by-side rotor eVTOL) in a vertical climb flight condition. conditions, pilot input would be required to ensure safe landings and takeoffs. 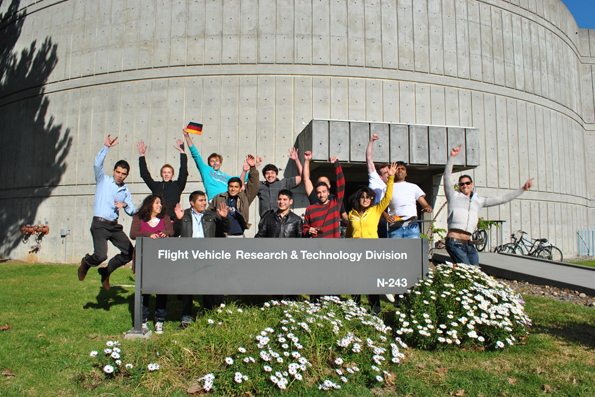 Future research for this project will include wind tunnel testing at NASA Ames Research Center, allowing for the comparison of computer simulations with the test data. 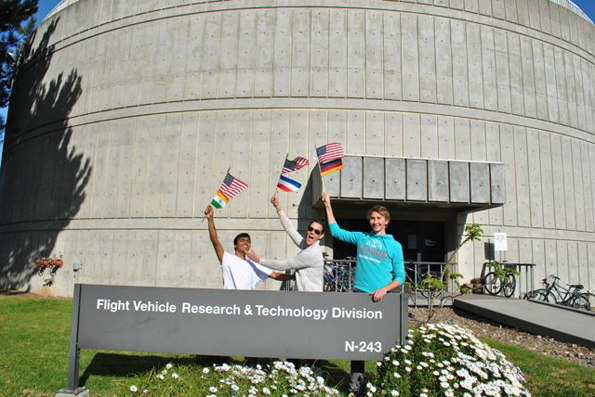 While urban transportation could become the largest industry using VTOL technology, some interns explored alternate uses for unmanned aircraft systems (UAS) technology. 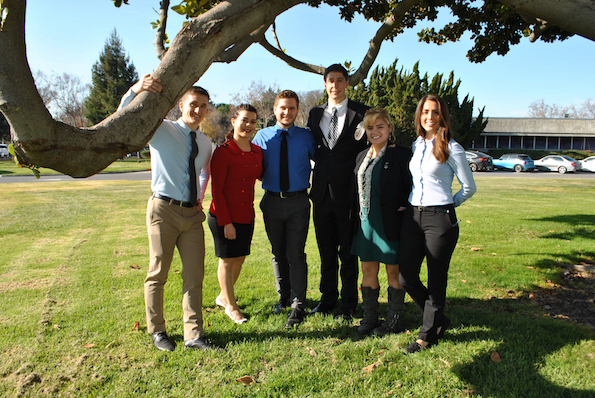 Collin Krawczyk, Nathan Mann and Ryan Vedros designed a system to obtain usable food donations from restaurants and grocery stores for transport to food banks and homeless shelters. 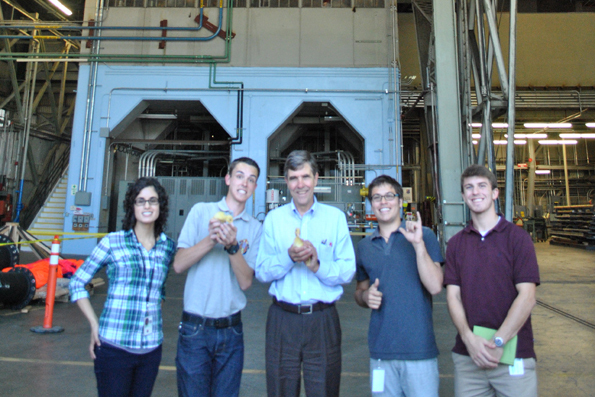 This project was dubbed ALFRED (Automated Leftover Food Recovery for Extended Distribution). ALFRED&apos;s mission is to reduce the amount of food wasted from restaurants or retail stores by facilitating food donations. 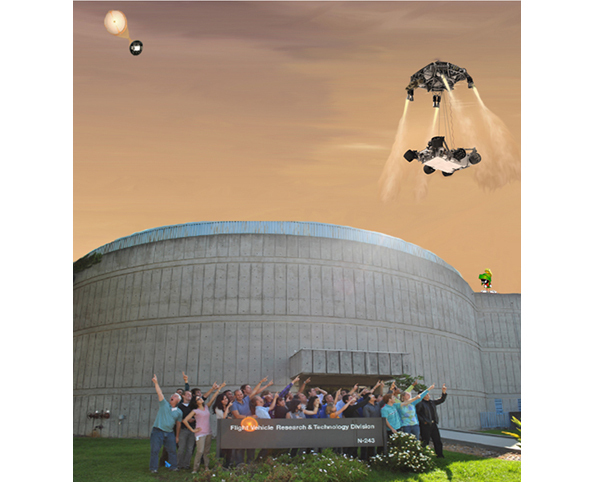 Concept rendering of the ALFRED (Automated Leftover Food Recovery for Extended Distribution) drone. 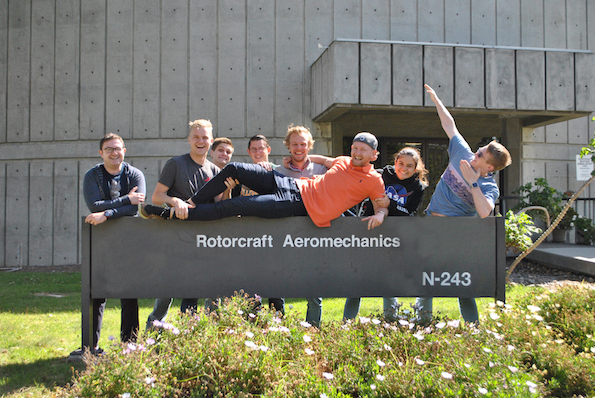 The Aeromechanics interns conceptualized, designed and analyzed the capabilities of this UAS. 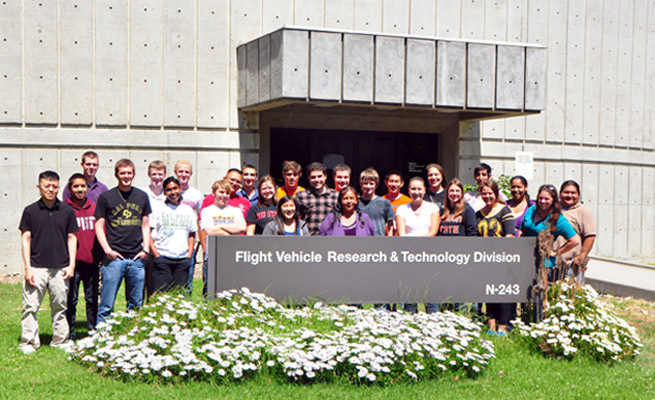 Their process included three different design, test and evaluation tasks throughout vehicle development: two regarding the method of securing and carrying the load, and one regarding the aerodynamics of the fuselage. 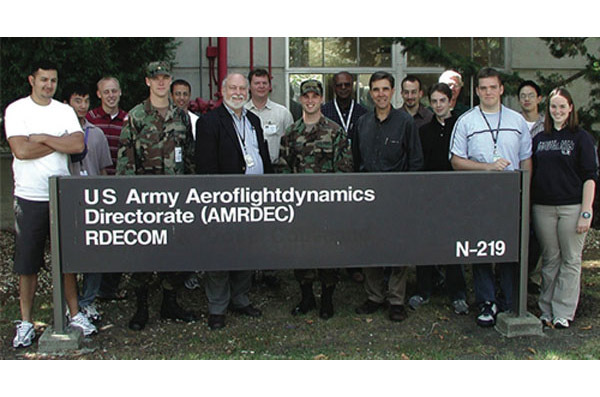 Flight capability was analyzed in RotCFD and the project was determined feasible. 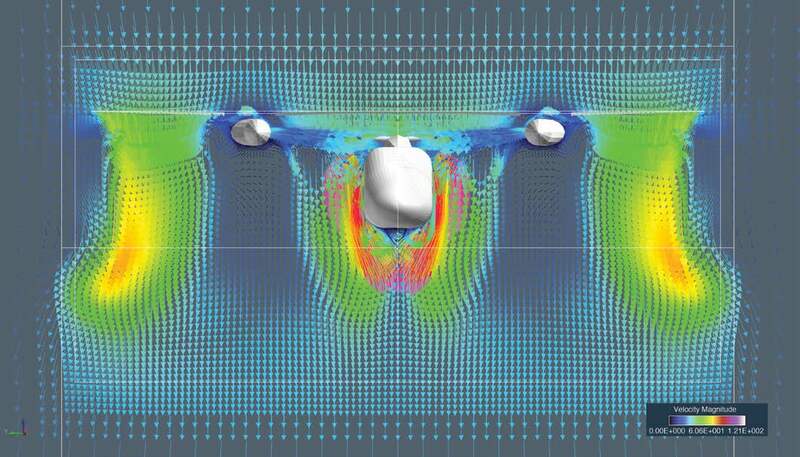 Future development should include CFD analysis, as well as acoustics analysis, since it will be used in an urban environment. 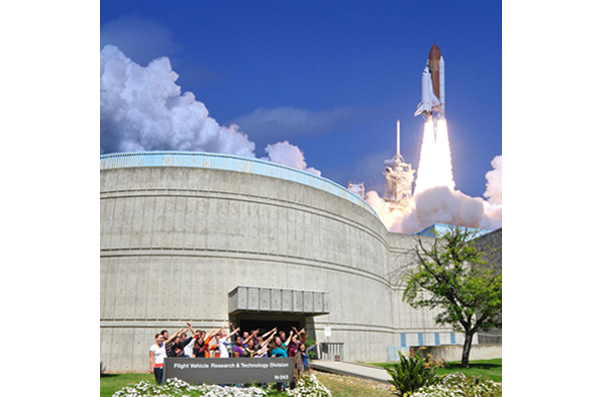 As we explore new ways of traveling on our own planet, new doors have opened to expand discovery and exploration on other planets. Mars has captured the minds of many humans since its discovery. Mars is our closest neighbor and the planet most like Earth, making it of keen interest. On the upcoming Mars 2020 mission, in addition to sending another nuclear-powered rover similar to Curiosity, the very first Martian rotorcraft will be deployed. 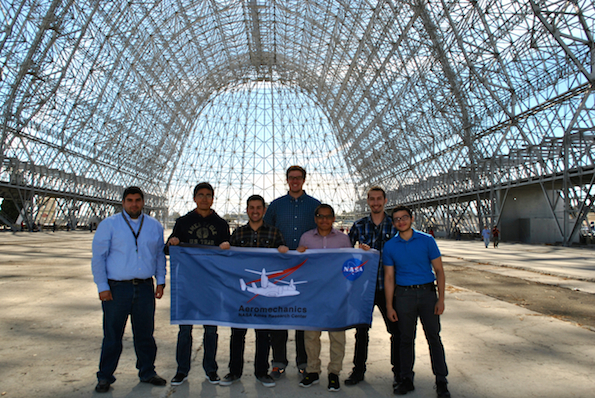 In the past, Aeromechanics interns have performed CFD analysis to determine the flight capability of the Mars Helicopter in the Martian atmosphere. 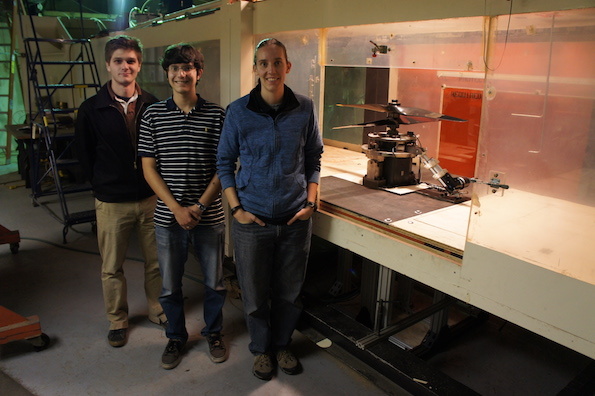 This summer, significant contributions were made by Natalia Perez, Nathan Jensen, Chris Byron and Dorsa Shirazi in the analysis of the helicopter&apos;s aerodynamics within the Planetary Aeolian Laboratory Martian Wind Tunnel. 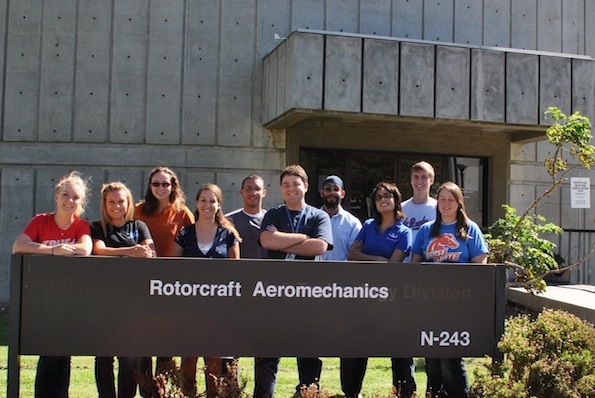 Tests performed included running the rotors at a variety of RPMs over different pressures ranging from one atmosphere down to Martian conditions. This data was then used to characterize the rotors&apos; behavior in Martian conditions. 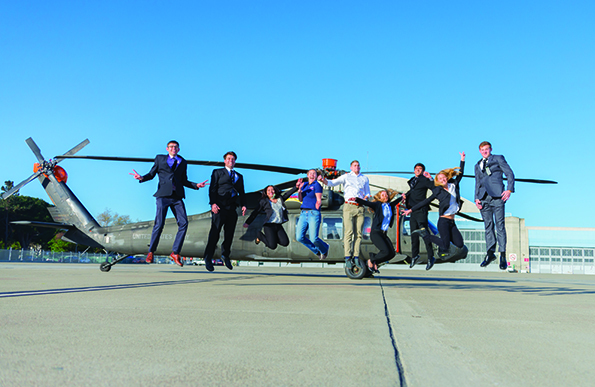 SolidWorks model of the Mars Helicopter advanced student kit. 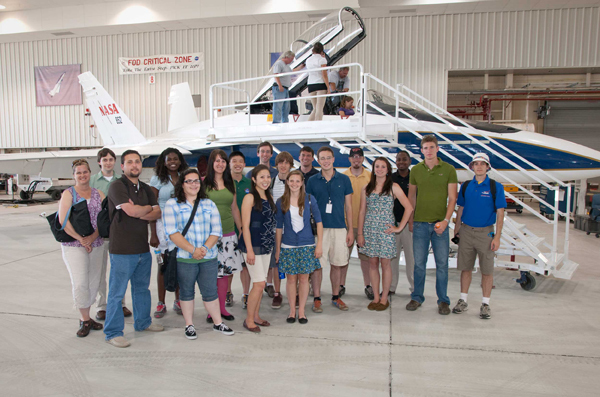 Aeromechanics interns also designed their own Mars Helicopters to be used for educational purposes. 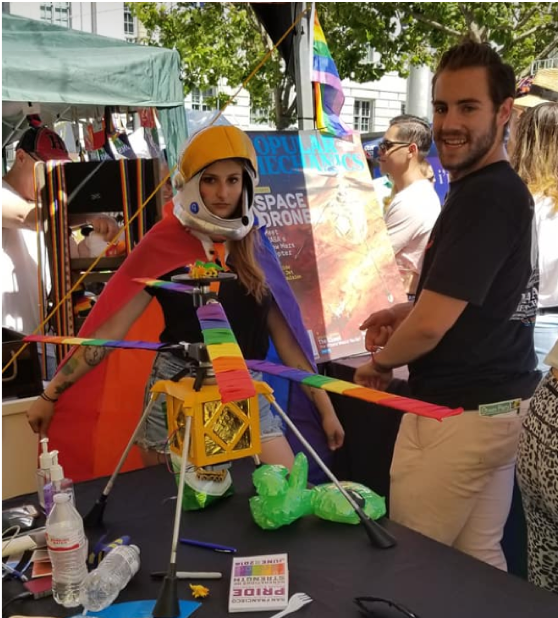 Two kits were designed — one for elementary school and one for high school — allowing students to build their own working models of the Mars Helicopter. The first was designed for younger students; it is made from Legos and has a working set of rotors, but it won&apos;t leave the ground. 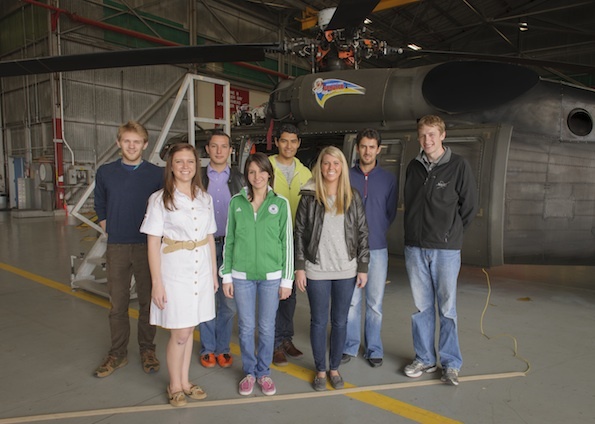 The second kit, designed for more advanced students, allows them to build a functional model of the Mars Helicopter. This kit has 3D printed parts for the body, an onboard computer and a full assembly of electronics to control the vehicle. This gives students a taste of how engineering is done and what goes into the building of the next generation of exploratory vehicles. The ancient Chinese philosopher Lao Tzu, the founder of Taoism, proffered: "Do the difficult things while they are easy and do the great things while they are small. A journey of a thousand miles must begin with a single step." 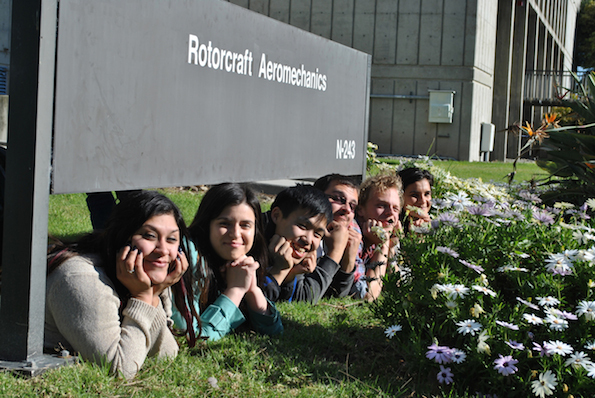 This quote represents the efforts of the summer 2018 Aeromechanics Branch interns. 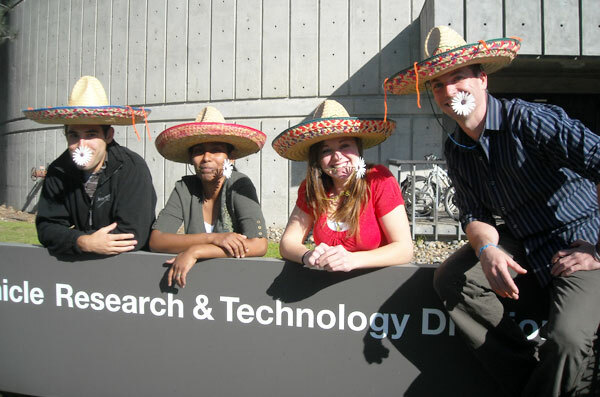 Many of the projects they worked on are ideas and concepts in their infancy, yet to be tested in the real world. These efforts have led to a better understanding of this growing field, and how it will inevitability change the world. 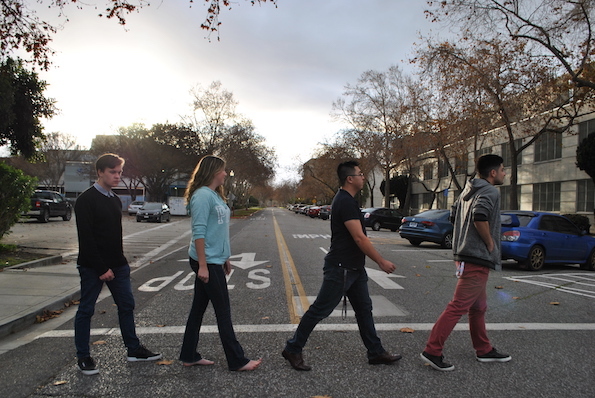 So, what do you do with an army of interns? You march them down a path that could change the world. 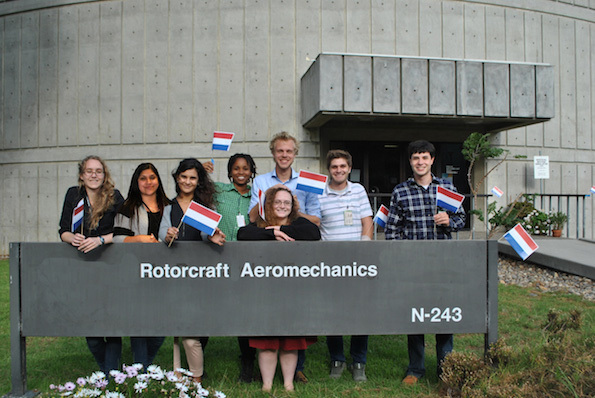 Hannah Dromiack is a fourth-year undergraduate student studying physics at Arizona State University. 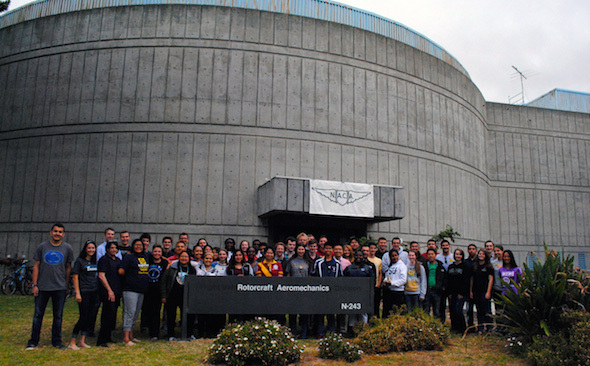 Her internship with the NASA Ames Research Center&apos;s Aeromechanics Branch runs from June to December 2018. 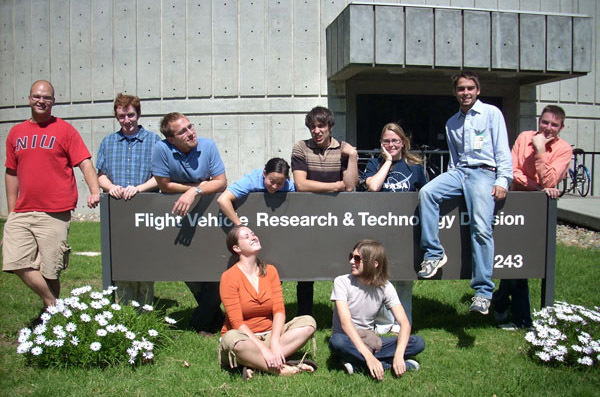 Her projects included data analysis of both the UH-60A Airloads Program and rotor behavior at Martian atmospheric pressures, and assisting in wind tunnel testing of the NASA Tiltrotor Test Rig. 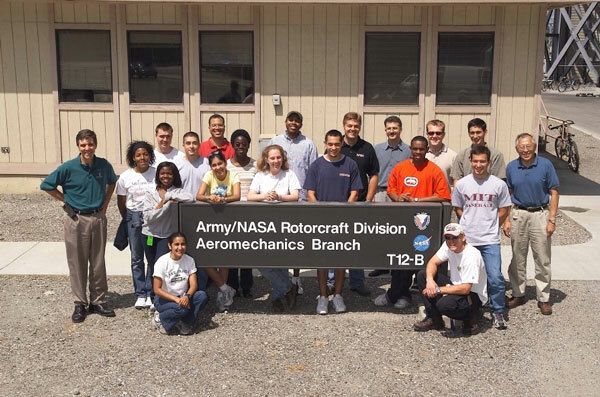 Fellowship opportunities for interested and highly motivated students include experimental projects conducted in the Ames 7- by 10-Foot Wind Tunnel, full-scale helicopter or tilt rotor tests in the National Full-Scale Aerodynamics Complex (the world&apos;s largest wind tunnel), and in flight with resident U.S. Army UH-60A Black Hawk helicopters. 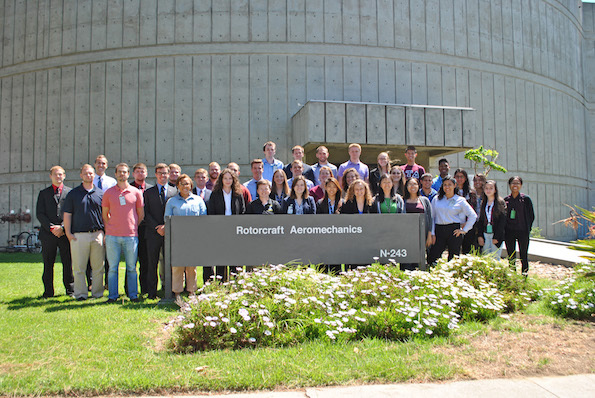 Analytical research projects include new vertical lift aircraft assessment and analysis (manned and unmanned), comprehensive analysis of current and new helicopter and tilt rotor aircraft, as well as CFD modeling of rotary wing systems and airfoil aerodynamics. 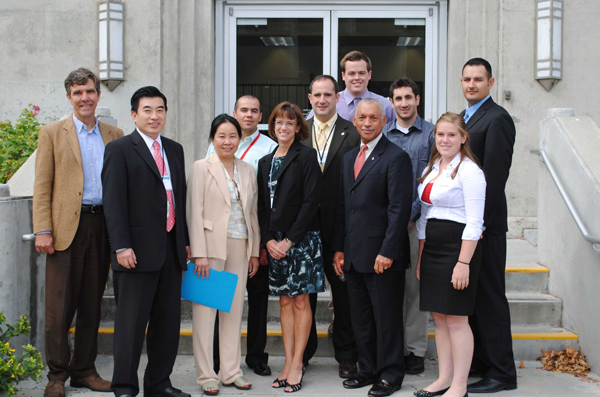 Many of these projects include collaboration with the Department of Defense (U.S. Army, DARPA) and the U.S. helicopter industry. Some of the student design and internship opportunity announcements are listed below. 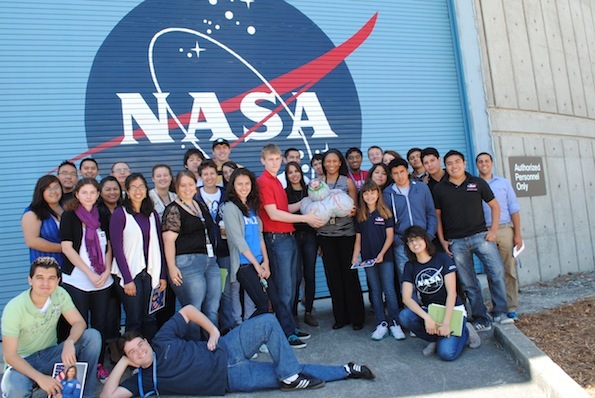 To learn more about student opportunities at NASA, interested applicants should apply through the NASA Internships and Fellowships. 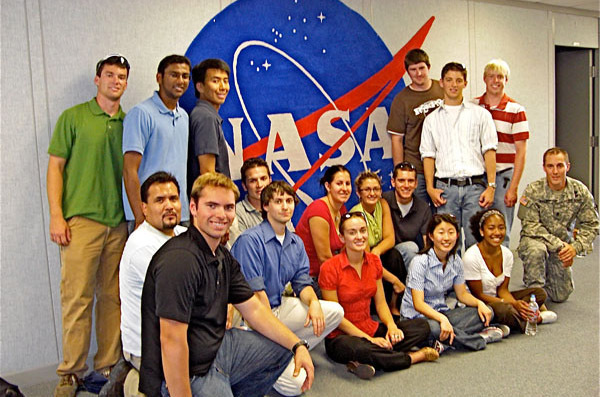 NASA Internships and Fellowships is a nation-wide system for the recruitment, application, selection and career development of undergraduate and graduate students primarily in science, technology, engineering and mathematics disciplines. 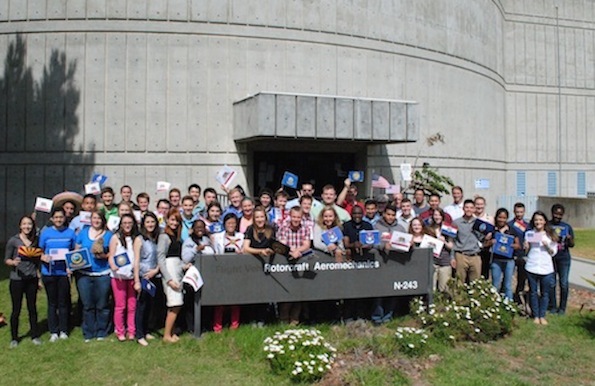 Opportunities for students in other disciplines are available. 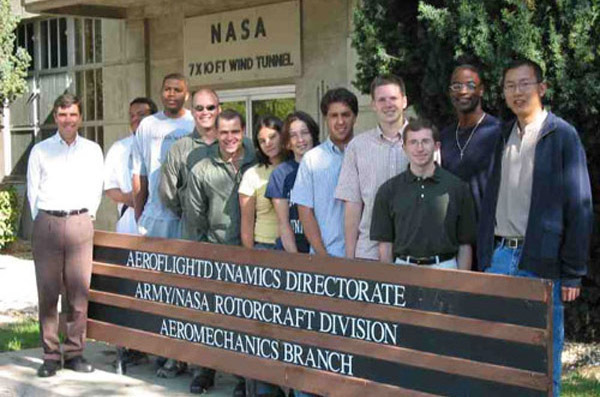 The NASA Internships and Fellowships application is a year-round program and has a variety of time frames available. 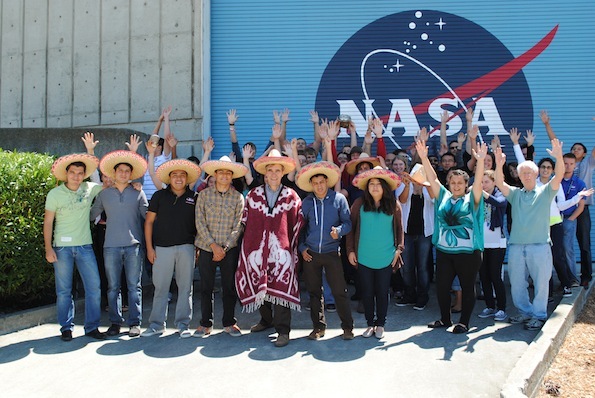 NASA Internships and Fellowships provides a flexible workforce solution for Sponsors while enabling students and faculty to contribute their specialized skills and grow their knowledge while at the same time gaining practical experience in their chosen field or career pathway.